It's A Dan's World: DAYS OF FUTURE PAST: Could This Be X-Men Second Class? DAYS OF FUTURE PAST: Could This Be X-Men Second Class? Director Matthew Vaughan once said he'd like to open the sequel to X-Men: First Class with "the JFK assassination, pulling back to reveal that Magneto is controlling the “magic bullet.”" Well now he might just get his wish, with AICN saying 20th Century Fox have registered Days of Future Past with the MPAA. 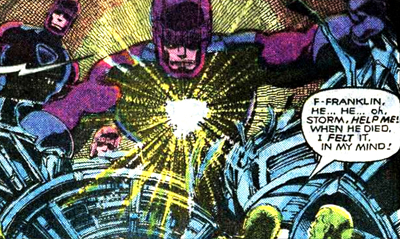 Days of Future Past was a two-part story that featured an apocalyptic future, run by mutant hunting, killer Sentinels. The giant robots became martial law unto themselves after the fear-inducing mutant assassination of prejudicial presidential campaigner, Senator Kelly. 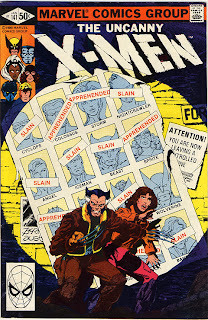 As Wolverine, Colossus and Storm mount a final assault on the Sentinel base, Shadowcat takes over the body of her present day self, in order to get the X-Men to prevent the Senator's assassination by the Brotherhood of Evil Mutants. Alternate timelines readjusting, would help in-movie continuity to explain differences between the new X-films and those that came before it. Adding weight to the story-lines sequel possibilities is the fact Days of Future Past was Mystique's first time heading the Brotherhood, explaining the importance of Jennifer Lawrence's availability outside Hunger Games for the film's production. Definitely to be continued. Can you imagine the Sentinels on the big screen Marcelo? Sure we got one in X-Men: United, but an army of them sweeping the skylines?! If all lines up, Hollywood might just hit it's hottest X yet. Days of Future Past! 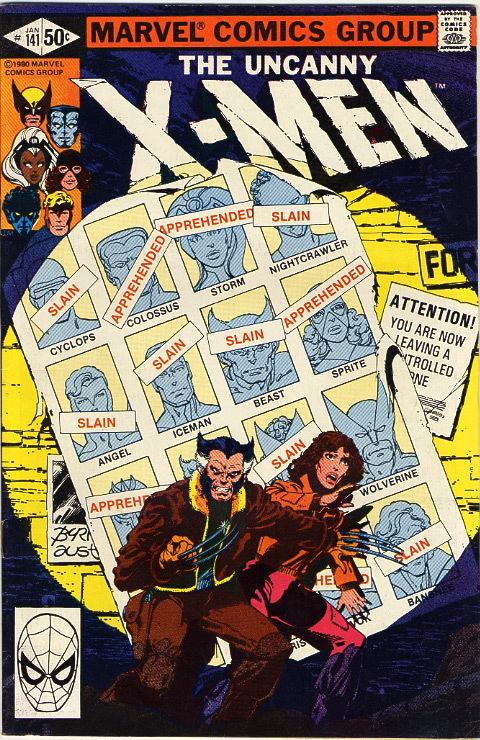 That was always the Gold Standard storyline with the X-Men for me. And I've cooled on seeing them on the big screen. If they adapt this, I am SO THERE! Hey TKM! I know what you are saying. But can you imagine a story like this only taking two issues now? I think Joe and or Dan would fire any one trying to tell a story in such an un-trade paperback friendly format! If they adapt this mate, I'll be right behind you in the ticket line. absolutely. A story of that scope today would be one of Marvel's "summer events" and would tie in a few other titles for good measure. Nothing much more to add then hell yeah I'd love to see this as well. With the current technology available how could they not showcase the Sentinels? Also, while using the assassination of JFK as a means of bringing about the Sentinels isn't a bad idea considering the timeline this series is rooted in, I'd much rather see Senator Kelly in that role instead. The writers could really evoke a similar feeling if written well enough. Either way, this movie could do just as well, if not better than the first. And trust me, I didn't exactly have have hopes for the 1st one, and see how well that one did. Craig you have it nailed. Today it would have a bazillion tie ins and more. Another reason 80s comics ruled. Dale, I to was blindsided by the awesomeness of the original - even though Havok and Beast were in the line-up. Were the above to get the green light and I got to see those two in either setting, well I'd be all over it like a rash.